Russia and Bolivia have signed an agreement on military cooperation at the Army-2016 international military-technical forum in Moscow region. Russian and Bolivian Defense Ministers Sergei Shoigu and Reimi Ferrera have signed an agreement on military cooperation. "I hope that the signing of this agreement will be a good guarantee of prospects for our military cooperation. This document will lay a reliable legal foundation for further military and, hopefully, for military-technical cooperation in the future," Shoigu said at the signing ceremony on Sept. 6. 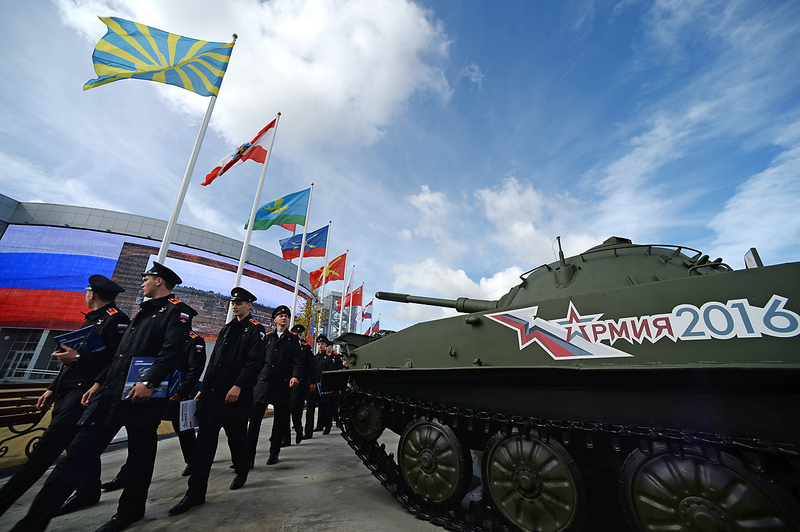 Ferreira thanked his Russian counterpart for the invitation to the Army-2016 international military-technical forum, which opened in the Moscow region on Sept. 6 and conveyed "cordial greetings" from Bolivia’s President Evo Morales. "For us, Russia is a fraternal country, with which we have excellent relations," the Bolivian minister said. He noted that boosting military cooperation with Russia is important for Bolivia for several reasons. According to Ferreira, his home country is aware of the high quality of Russian weapons and is interested in developing relations in other areas as well.